Pikachu, Warner Bros. is choosing you as their next big franchise. 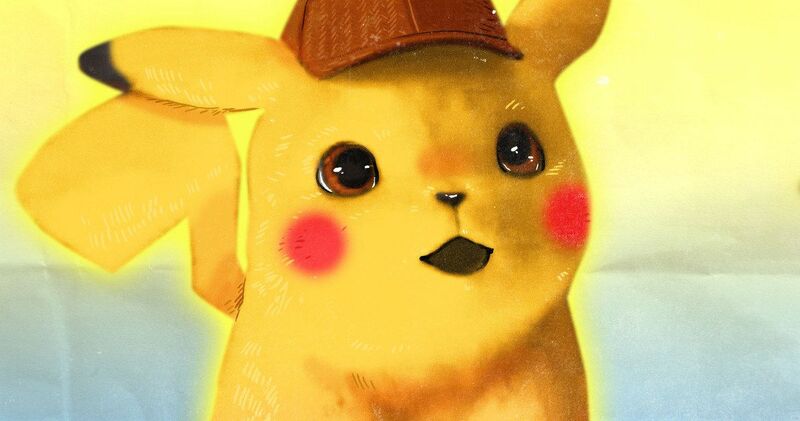 Detective Pikachu 2 is already in the works, more than three months before the first movie is even scheduled to arrive in theaters. This is a clear sign of confidence on the part of the studio and it means they’re betting big on their live-action Pokemon universe for the future. This is a property that has proven for more than two decades that it has a captive global audience. With that in mind, it only makes sense that they would have confidence with this franchise moving forward. According to a new report, screenwriter Oren Uziel has been tapped to pen the screenplay for Detective Pikachu 2. Story details are currently being kept under wraps. Though, that makes sense, given that the first movie has yet to be released and it’s becoming increasingly clear that there are some big secrets the yellow Pokemon and his human partner are going to uncover. Uziel’s previous credits include Men In Black: International, 22 Jump Street and The Cloverfield Paradox. Granted, that one didn’t turn out so great, but it would be tough to pin that on him specifically. Uziel has also been tapped to pen the Supergirl movie for Warner Bros.
We’ll still have to wait and see how Detective Pikachu does, but one thing is for certain, the Pokemon world is incredibly expansive. To date, there have been more than 20 animated movies, hundreds of animated TV episodes, several very successful video games and the card game. Point being, there are plenty of directions to take the franchise in the future, assuming the financial success follows with this first live-action endeavor. Ryan Reynolds is on board to voice Pikachu in the first movie, with a cast that also includes Justice Smith, Kathryn Newton, Ken Watanabe, Suki Waterhouse, Rita Ora and Bill Nighy. At the present time, it isn’t clear who, if anyone, would return for the sequel. We also recently heard rumors that a Pokemon Red and Blue movie is in the works that would be connected to the universe, but would be its own thing. If that holds true, Warner Bros. and Legendary Pictures have the building blocks for Pokemon cinematic universe going already. While they’ll probably wait to see how Detective Pikachu does before truly moving forward, they’re at least prepared for this to be their next big cash cow. Rob Letterman (Goosebumps) is in the director’s chair for this first movie. There is no indication right now as to whether or not he would be invited back for the follow-up. There are prevalent rumors that Mewtwo will be a big part of the first movie and that he will also be part of its sequel. That, however, for the time being, has yet to be confirmed by the studio. That aside, this is a potentially exciting time to be a Pokemon fan. Detective Pikachu is set to arrive in theaters on May 10. We’ll be sure to keep you posted as any further details on Detective Pikachu 2 are made available. This news was first reported by The Hollywood Reporter.